Avast Matey! 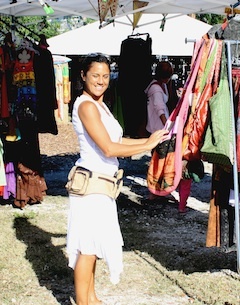 Organizers of Key West’s 12th annual Pirates in Paradise Maritime Heritage Festival seek all types of artists, crafters and food vendors for the Festival’s Pirate Village & Holiday Bazaar, scheduled for the Truman Waterfront in Old Town Key West, November 24 through December 4, 2011. Vendors, sponsors and volunteers are invited to chart their courses for Key West’s annual salute to the island’s historic maritime heritage, which transforms Old Town’s Truman Waterfront Commons into a Caribbean pirates’ stronghold of days gone by. Celebrating Key West’s glorious days of sail & seafaring adventure, the Festival offers tall ship pirate sails, re-enactments, swordplay, live music, storytelling, street theater, concerts and a pirate carnival. Featuring 11 days of swashbuckling fun, with 30+ special events, Key West’s Pirates in Paradise Maritime Heritage Music Festival 2011 is expected to attract thousands of pirate enthusiasts, families, history buffs and outdoor music fans, with the majority of festivities taking place at the Truman Waterfront Pirate Village. The Festival’s Pirate Village Stage will offer non-stop entertainment and live music daily. Those interested are invited to submit their vendor application today. First consideration, along with discounts will be offered to local Florida Keys artisans, crafters and all artists selling handcrafted items. Vendors can choose to participate both weekends or choose either. 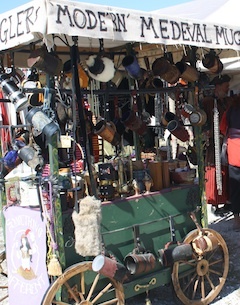 The Festival’s Pirate Village features lots of pirate booty, vintage vittles and grog, as well as wares from some of America’s finest period artists and crafters...including exquisite handcrafted leatherwork, jewelry, pottery, glass, fibers, photography, and paintings. Outdoor waterfront stages provide non-stop entertainment and showcase local and national recording artists singing island favorites, songs of the sea and rock & roll; and swashbuckling swordplay by local and national re-enactors. Sponsored in part by the Monroe County Tourist Development Council, Pirates in Paradise Maritime Heritage & Music Festival also serves as a fundraiser for ASTAARE Equine, Key West HELPLINE, Inc., the Key West Maritime Historic Society, Project Lighthouse and other non-profits. To download a Vendor Form, click here. For more inforamtion email us at: Info@PiratesInParadise.com, or call: 305-296-9694.